Will anyone be held accountable for another overseas Indian Test series loss? There is the big picture and then there is the bigger picture. The big picture is that Virat Kohli’s Indian team, despite the individual brilliance of the most absorbing batsman in the game today, have serious batting problems when they leave Asia; but the bigger picture is that there are critical calls being taken by Kohli and his think-tank that are putting the team on the back foot even before a ball is bowled. With the resigned look of an actor trapped in an underwritten role, Kohli fronted up to the post-match presentation on Sunday at The Ageas Bowl. His team had just been beaten by 60 runs to lose the series to England 1-3 with a Test match to go. 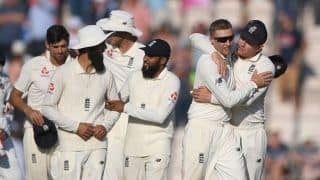 A second consecutive overseas Test loss, after losing to South Africa 1-2 at the start of the year following a bloated two-year diet of series after series at home to be crowned the No 1 Test team in the world. As the first question was posed to him, Kohli began his familiar diatribe, but his words were not fooling many. “I don’t think we made too many mistakes. It was a challenging day. We put our best foot forward but were just not good enough. They put pressure on us non-stop. We felt the passion of 11 players on the field wanting to win a Test for their country,” said India’s captain. We can blame the batting, which once again failed to chase a target in excess of 200 overseas, but in truth, Sunday’s collapse was written in the stars. Slipping from 142/3 to 195/8 in the first innings was huge in the end result, as was falling to 22/3 on day four, and then from 123/4 to 154/8, but more importantly there are pivotal moments and decisions taken by Kohli and his think-tank that contributed to defeat at Southampton. India misread the conditions at Edgbaston, where instead of another spinner they chose a fourth pace bowler. Then they misjudged the nature of the damp Lord’s pitch, despite the first day being washed out, and played two spinners when an additional quick bowler was the need of the hour. 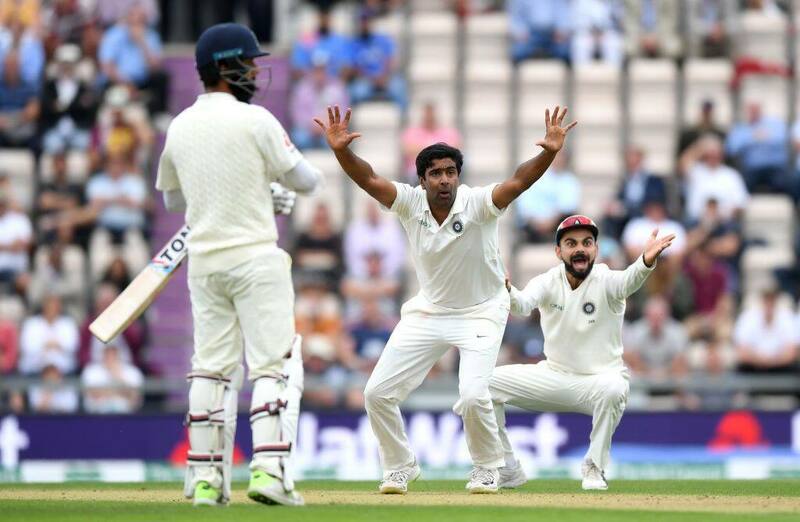 After winning at Trent Bridge, where admittedly Joe Root erred in deciding to field, India again misread the conditions at The Ageas Bowl, as well as the fitness of R Ashwin, and did not play Ravindra Jadeja. This, after Kohli spoke of the importance of spin on the eve of the fourth Test. This, after England announced that they were playing two spinners a day before. Punting on a player who may to have been 100% fit – who will actually give us a clear answer? – hurt India. Ashwin bowled 51.5 overs at The Ageas Bowl, and took three wickets for 124 runs. Moeen Ali, in his first Test since March, had match figures of 9/134. This is a player who was dropped seven months ago for his poor batting form. Days three and four saw a dry pitch – as dry as you can expect in England. A track that Ashwin, if this was Asia, would have wrapped up the innings on. Instead he struggled to locate the right length and pace. Yes, there were some tense moments when he had Ben Stokes groping, but overall it was not what the No 1 Test ream wanted from their No 1 spinner. Ashwin left the field on day three, looking stiff, during a day in which he was below par. Compare how Moeen, in his first Test match since March, fared against what Ashwin did. The key for Moeen was bowling the ball flat and fast into the rough marks. He plugged away, did not experiment, and reaped the rewards of being consistently accurate. Figures of 5/63 and 4/71 when he was picked, ostensibly, for his batting is a remarkable comeback for Moeen. After the first Test, Ashwin spoke to former England batsman turned remarkably astute TV host Ian Ward on Sky Sports, and during the chat he opened up on some of his tricks. Is it a surprise that since then he has bowled 92.4 overs across three Tests and managed four wickets? You be the judge. In hindsight, on this track, picking Jadeja over Hardik Pandya, who took five wickets in the Trent Bridge win, would have been the way forward. 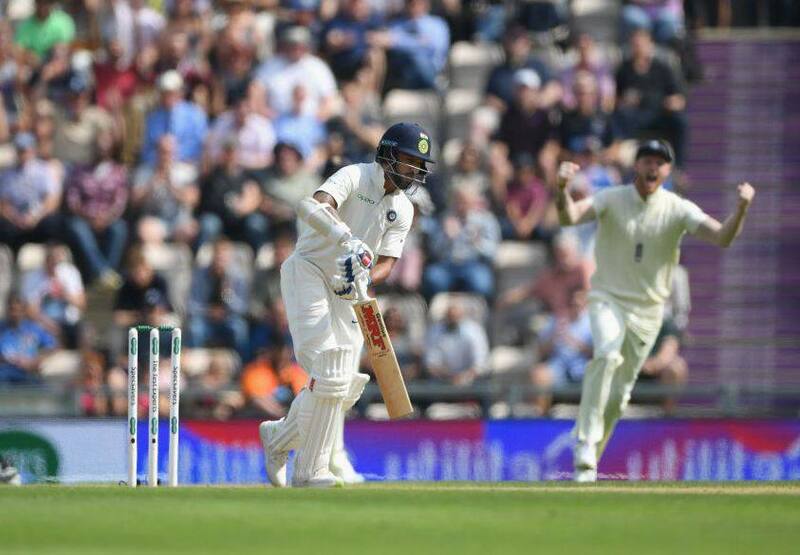 Pandya played, and then during England’s second innings was not used for 66 overs, after which Kohli bowled him for nine overs on the trot. 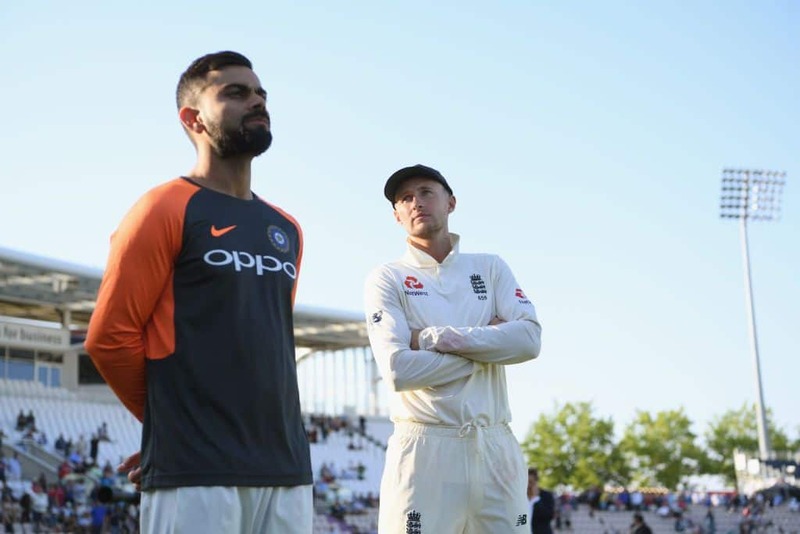 In trying to give himself the option of three fresh fast bowlers for the new ball on Saturday, Kohli allowed Sam Curran and Jos Buttler to bat on unperturbed. Once it was taken, Ishant Sharma ended Buttler’s vigil and then Mohammed Shami ended the day by getting Adil Rashid. Was it worth waiting so long when one 10 overs were bowled with the new ball? Again, we are about as likely to get clarity on these decisions as Donald Trump is to typing a politically correct tweet. Kohli and Ravi Shastri should be held accountable. For misreading the conditions and Ashwin’s fitness. For delaying the new ball on day three and bowling Pandya for nine overs. Some will say that 3-1 is a bit harsh on India, but the fact is that another overseas Test series has been lost. The bowling has taken huge strides in South Africa and England, while the batting, barring Kohli and Ajinkya Rahane and Cheteshwar Pujara, has nosedived. Most likely India will win the dead rubber at Kennington Oval, for it is the flattest track they can expect. But that tag of of No 1 Test team is not sitting pretty on their heads. A pointless home series against West Indies, ranked eighth, awaits in October before India set forth to Australia for four Tests. That tour promises to be another test of character, with India’s mettle even more severely tested against Mitchell Starc, Josh Hazlewood, Pat Cummins and the rest of Australia’s pace pool. If the same mistakes are being made three months, then it will be time for some serious questions to be asked. You can sit back at wonder “what if?” all you like, but the fact is that something stinks inside the Indian team setup, and that No 1 Test team tag is in danger of slipping.